Imagine yourself in a high-end spa, being coated in chocolate. Imagine the fragrances of cocoa, rose, geranium, patchouli, gold and orange blossom mingling in the air around you. Is there anything more luxurious in the world? 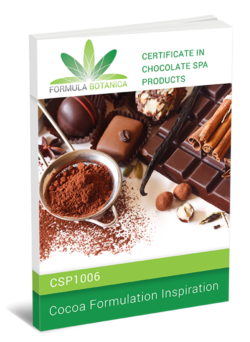 Our Certificate in Chocolate Spa Products is suitable for beginners or students with basic formulation experience who want to formulate with chocolate! 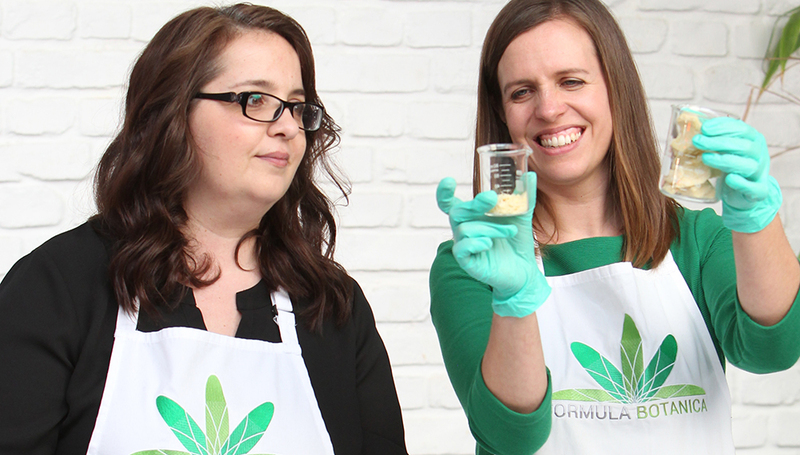 Our 2-module online course will teach you how to create a small range of facial and body chocolate spa products. Learn how to formulate luxurious chocolate skincare that would be at home in any A-list celebrity spa. Discover the skin-beautifying and anti-ageing benefits of chocolate with all of its antioxidant powers. Learn about the science of cacao’s potent cosmeceutical properties and find out which types of cacao are best to use in skincare. Theobroma cacao, the chocolate tree, yields many different types of chocolate ingredients. Research these different cosmetic ingredients yielded by the cacao tree, as well as those ingredients which complement and blend well with it: oils, butters, essential oils, waxes, hydrosols, exfoliators and many more. Formulate with luxury antioxidant-rich cacao to design rich chocolatey treats for the skin. 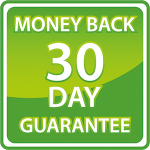 Create 100% natural chocolate skincare products including lip balms, facial polishes, facial masques, serums, creams, body oils, body butters, body packs and body scrubs. Cocoa (Theobroma cacao) is famous for its role in the addictive and delicious food we call ‘chocolate’. Since the discovery of polyphenols and their antioxidant power, people have been aware of the benefits of chocolate. 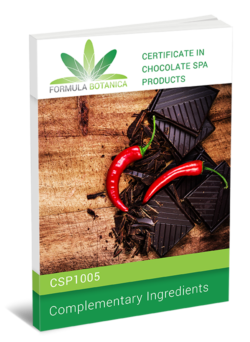 In this module we discuss why you would use chocolate in skincare, how it works when it is topically applied to the skin and which types of chocolate products you should be formulating with. Study the different types of ingredients from the chocolate tree and how their antioxidant potential differs. 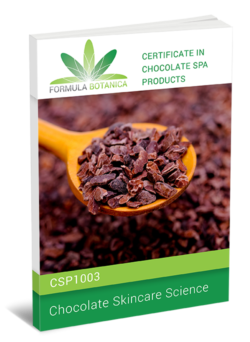 Review the use of pesticides in the cocoa industry and understand why it is important to use organic cocoa products whenever possible in cosmetics. 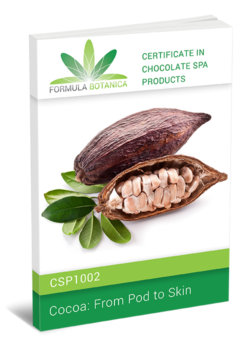 Learn which anti-ageing compounds are commonly found in cocoa and how they work on the skin. Learn about all the wonderful ingredients derived from the cocoa tree. Understand their properties and uses in skincare. Review an extensive list of 60+ ingredients that blend well with chocolate – butters, oils, emulsifiers, exfoliants, hydrosols, essential oils, CO2 extracts, absolutes, humectants and clays. 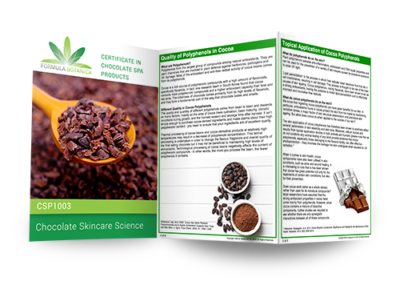 You now know how chocolate works on the skin and you understand the vast array of ingredients that are available to you as an organic chocolate skincare formulator. Now it’s time to put that knowledge into practice! 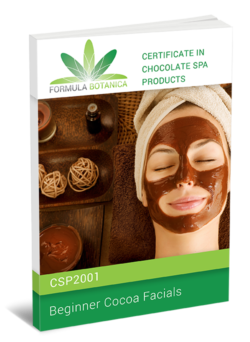 In this module you will first create your first exquisite range of organic chocolate facial formulations that nurture and pamper your delicate facial skin. Next we turn our attention to the rest of the body and create pampering chocolate body spa treatments, where cocoa can work its antioxidant, firming and cellulite-busting magic. In this module you will learn how to create a capsule range of chocolate body and spa products for an all-over body chocolate experience. 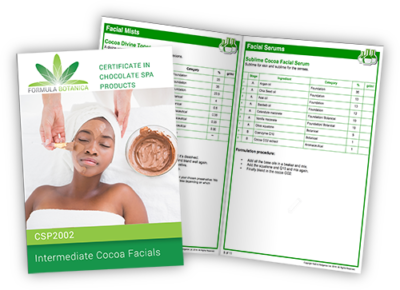 Learn how to formulate basic cocoa facial formulations that will pamper your delicate facial skin. Receive 9 beginner chocolate facial formulations, including our Chocolate Berry Facial Serum, Cacao & Rose Soothing Facial Mist, Gentle Cappucino Facial Polish and White Chocolate & Raspberry Facial Masque. 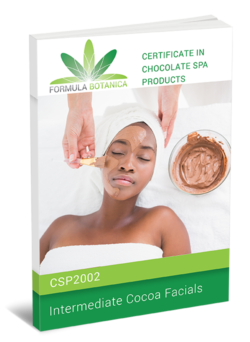 Learn how to formulate intermediate cocoa facial formulations that will pamper your delicate facial skin. Create a small capsule range of chocolate spa facial products, including serums, hydrating mists, masques, polishes, mousses and lip butters. 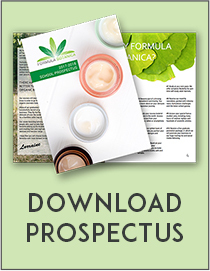 Use Formula Botanica’s tried and tested formulation worksheets, percentage calculation methods and skincare design flow charts to draw inspiration from our sample formulations and create your own unique chocolate blends. Receive 8 intermediate chocolate facial formulations, including our Chocolate Cream Facial Mousse, Dragon’s Blood Creamy Facial Masque, Choco-Mint Lip Serum and Cocoa Divine Toner. 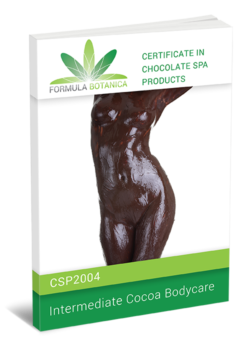 Learn how to formulate basic cocoa body formulations that will nourish your body’s skin. Receive 8 beginner chocolate body formulations, including our Gourmande Massage Butter, Chocolate, Rose and Almond Body Scrub, Moroccan Rose Body Masque and Satin Body Glow. 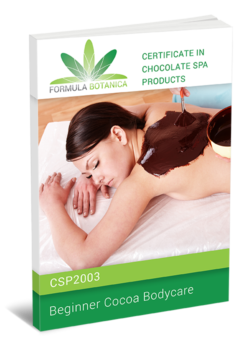 Learn how to formulate intermediate cocoa body formulations to nourish and pamper your body. Create a small capsule range of chocolate spa body products, including body scrubs, cellulite scrubs, massage oils and body masques. Receive 8 intermediate chocolate body formulations, including our Cocoa Body Custard, 2-in-1 Honey Chocolate Hand Mask, Cocoa Mud Foot Masque and Black & White Scrub Bar. 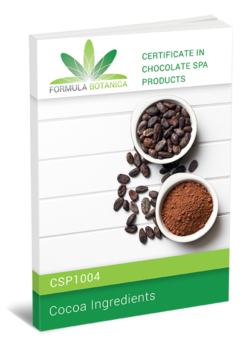 Enrol for our Certificate in Chocolate Spa Products to add a luxurious touch of high performance cacao to your skincare products and create an at-home spa experience. None. 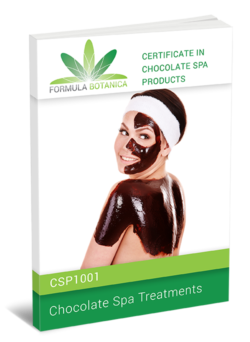 For beginners who want to formulate luxurious skincare with chocolate. Projects, activities and reflexive learning. 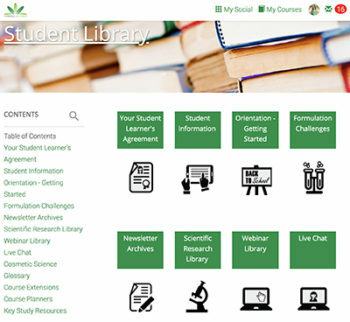 The main module ends with a short assignment.